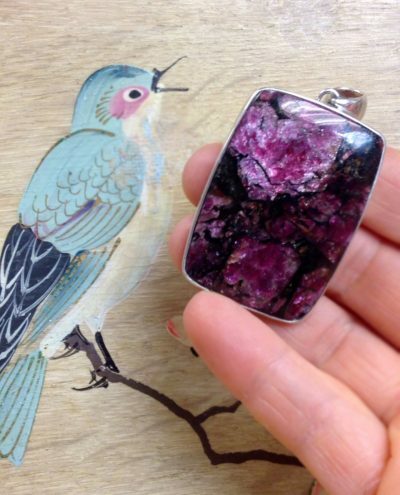 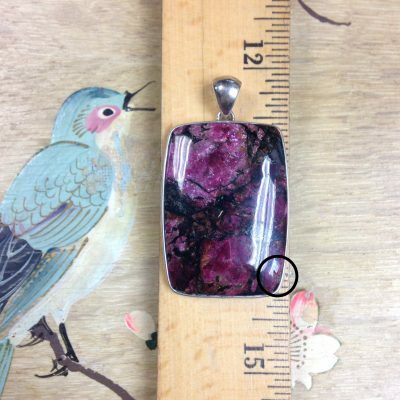 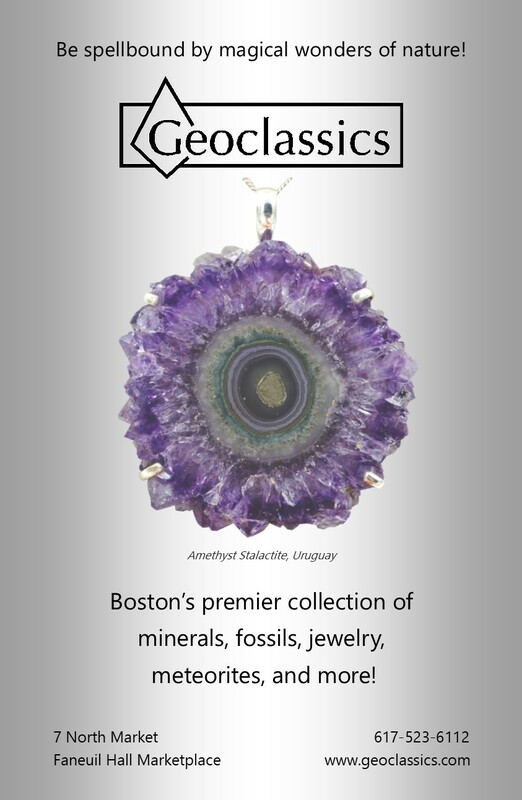 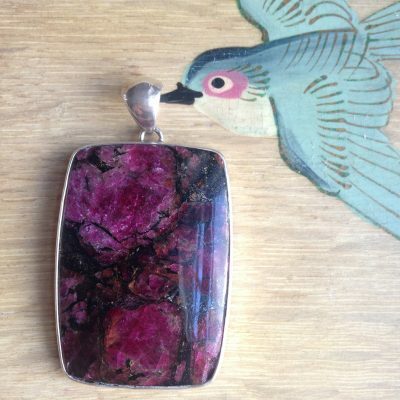 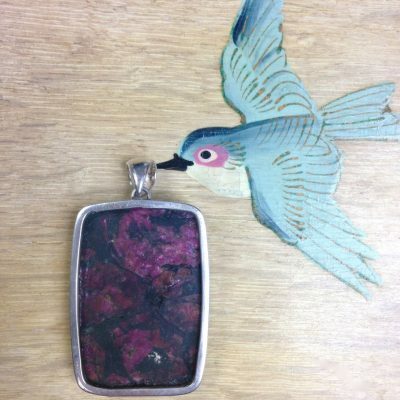 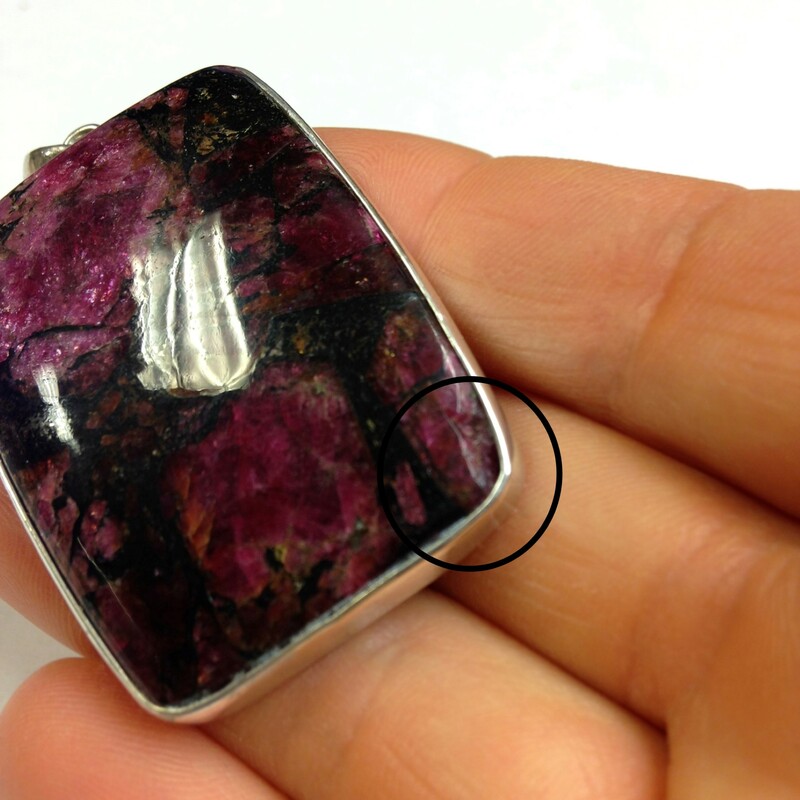 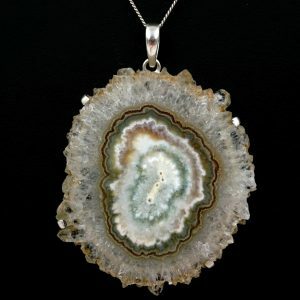 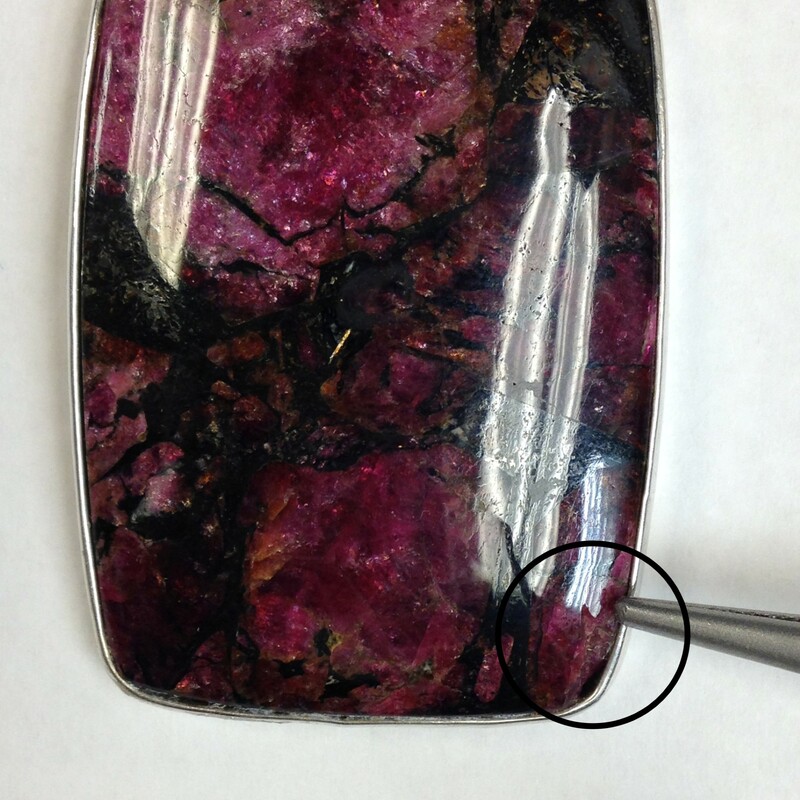 This is a superb quality gemmy rounded rectangle eudialyte cabochon, but there is a small chip in the right hand lower corner of the pendant (as you will see in the last three images (see the black circles)). 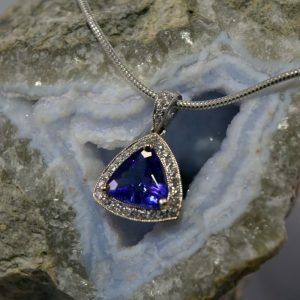 The price has been adjusted to reflect this flaw. 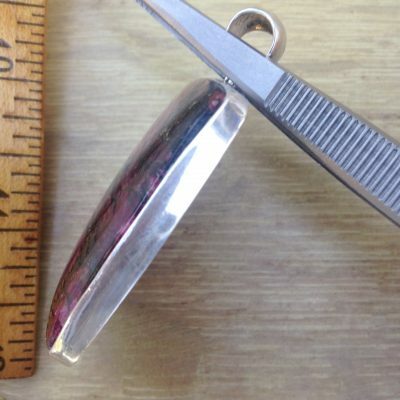 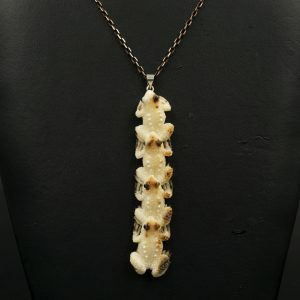 Bezel set in sterling silver.